Although this book isn’t due out until April, it’s been getting a fair bit of buzz already and I thought it would be worth mentioning here. YA novels have seen a rash of stories dealing with mental illness in recent years, but very few are able to so do with the beauty and grace of Schantz’s “Fig”. Spanning 11 years of Fig’s life, this book tells the story of Fig’s determination (and, later, obsession) with finding ways to keep Mama’s schizophrenia at bay. Fig devises a system of “Ordeals” to cope; these are daily sacrifices (not touching metal one day, avoiding water the next) meant to cure her mother. 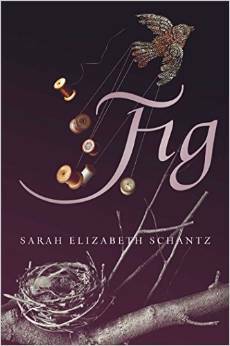 Schantz seamlessly weaves harsh reality and lush fantasy, and I felt myself half-believing (and completely wanting to believe) in Fig’s little rituals. Of course, all these strange behaviors lead to Fig’s own isolation and an eventual diagnosis of OCD as her sacrifices become more harmful to herself. One of my favorite parts of the book is the beautiful, loving, heartbreaking love between mother and daughter. This is not a happy-go-lucky read by any means, but it is honest and respectful of its treatment of the two women and well worth a read. This entry was posted on January 7, 2015 at 9:46 pm and is filed under Uncategorized. You can follow any responses to this entry through the RSS 2.0 feed. You can leave a response, or trackback from your own site.